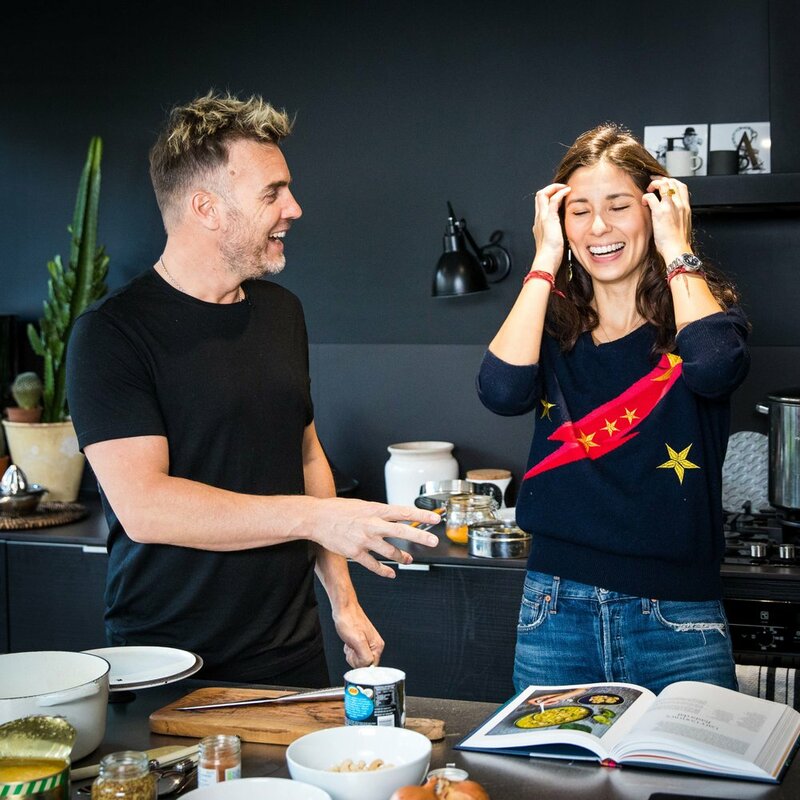 Watch out, everyone — Gary Barlow is on a mission. He’s been on a huge personal journey exploring how to live and eat well to feel his very best, and has really found his groove. I was lucky enough be by Gary’s side throughout this journey and am so proud of how serious he is about sharing what he has learned to help others. To celebrate Gary's journey (and mine, with East by West! ), we filmed a fun little video series and I'm so excited to share them with you all! Click through the links below to watch the clips that intrigue you! In our nifty intro video, Gary and I discuss the origins of Ayurveda, and why it's such a beneficial practice for your lifestyle and overall wellbeing — starting with the food you eat. Gary and I share a mug of my deliciously warming Golden Milk — the Ayurvedic equivalent of hot chocolate. He loves it almost as much as I do! This dish, which was passed onto my friend Gary Gorrow by a Rastafarian friend of his, proves that food doesn't have to be Indian to be Ayurvedic — and Gary (Barlow!) loves it. This chicken soup is one of my most-loved recipes — it's the perfect comfort food, whether you're feeling ill or just need a bit of warming up! Give this video a watch to see Gary getting creative. Last but certainly not least, Gary and I have a rather heated discussion about pickles! Intrigued? Click the link above to hear Gary's thoughts on the 'kraut.